Photography has always been an important part of my life, and I have been fortunate enough to fund my life with my passion. I have had the opportunity to work in a variety of different photo environments, including corporate and event. Each experience has enhanced my all around knowledge about how photography can be used to captivate an individual, as well as an audience. I hope to continue to learn more and more about the photo industry, and to grow as a photographer with each experience. 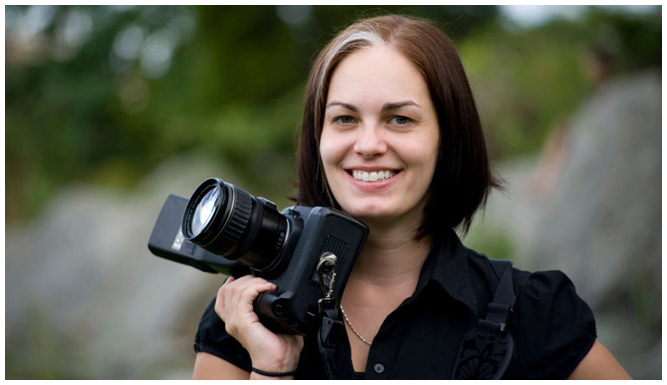 In 2007, I became an assistant wedding photographer to help pay my way through college. In 2008, I graduated with my Bachelor of Fine Arts with a concentration in Photography. And then in 2011, I officially opened my own wedding photography business. Little did I know, this would quickly become one of the best decisions that I have ever made. Business has steadily been growing with each glowing recommendation, and I have been growing as a photographer with each new experience. But of course, my business would not be the powerhouse that it is without all of Elegant Edge Photography supporter's and the amazing network of photographers that assist me at each wedding. Elegant Edge Photography is based out of Stamford, CT but works all over NY and MA. And given the right opportunity, I am more than willing to travel anywhere! Feel free to contact me if you are interested in any of the photo services that I have to offer!